This is the oldest among the Mughal Garden. Babur, who had great passion for gardens, had established this garden in 1528 A.D. The garden is also called as “Light Scattering Garden” and “Lazy Garden”. The canals and pathways in this garden are believed to represent the ideal Islamic Heaven. Pavilion here faces the River Jumna. Tourists can come across many water sources and fountain in this garden. 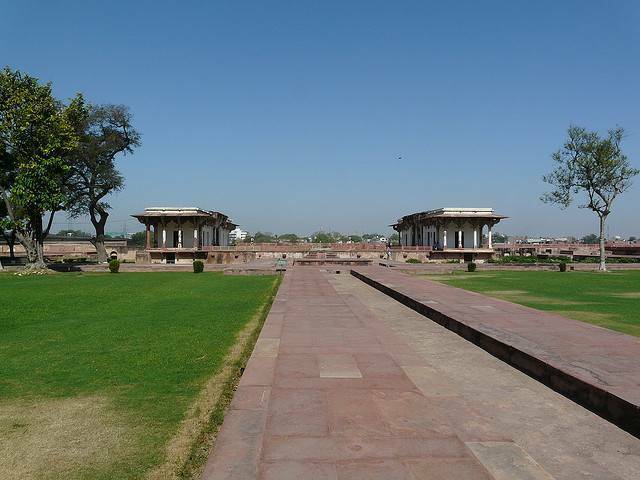 As per legendary stories, Emperor Akbar proposed to his third wife (who is in turn a gardner) in this Garden. Also Jahangir, waited in this Garden for the auspicious time, so that he can enter the Agra after winning the battle for Fort Kangra. This garden gives a pleasant memory for tourists.